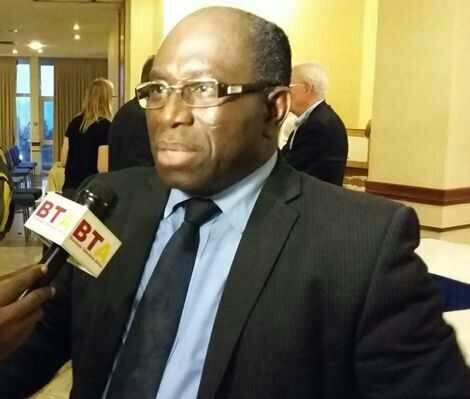 Former Minister of State under former President Kufuor, Dr. Richard Winfred Anane is adopting a “wait and see” attitude as to whether he may put himself up for selection as the next leader of New Patriotic Party (NPP) with a view to becoming the president of Ghana. Dr. Anane, whose name came up in 2014 as one of the NPP bigwigs nursing ambitions at the time to contest the flagbearership of the party for the 2016 elections, said on Accra based 3FM, “let’s wait and see” his next political move, when asked if he still harbours the dream of leading the party into an elections. Delving into his political career after losing his Nhyiaeso seat, Dr. Anane declined to give a clear answer to a question on his presidential ambition, but gave a hint of the possibility of contesting the flagbearership. According to the 63-year-old medical doctor, it is important for the NPP government led by President Akufo Addo to be placed in the best position before such any decision on his Presidential ambition is taken. The host of “Sunrise” Morning Show on 3FM asked whether he still wants to lead the party as rumoured in 2014, and he responded: “Let us wait and see; the most important thing today is for my party to deliver on its promises” to make sure that the NPP is in a good state. “If your party is not seen to be in the best of state for the nation, you go in there, the people [electorates] will say oh but your people [NPP] didn’t do well. So what we need to do today is to make sure your party is in the best of state,” he indicated. Richard Anane Dr. Anane served as the member of parliament for Nhyiaeso Constituency in the Ashanti Region for two decades during which he was given the opportunity to serve as Health Minister and Minister of Roads and Transport in the administration of former president John Kufuor. In June 2015, he lost the bid to represent his constituency in the December 7 general elections. He lost the NPP Nyiaeso primary to Kennedy Kankam who polled 247 votes; Dr. Anane secured 110 votes.